This beautifully and durably designed Round Dining Table is guaranteed to become the centerpiece of your dining space. The piece is constructed from 100% solid pine, so you know you're receiving heirloom quality. Furthermore, the expertly turned pedestal base provides a gorgeous traditional style point. Available in Sand or Ivory finishes. 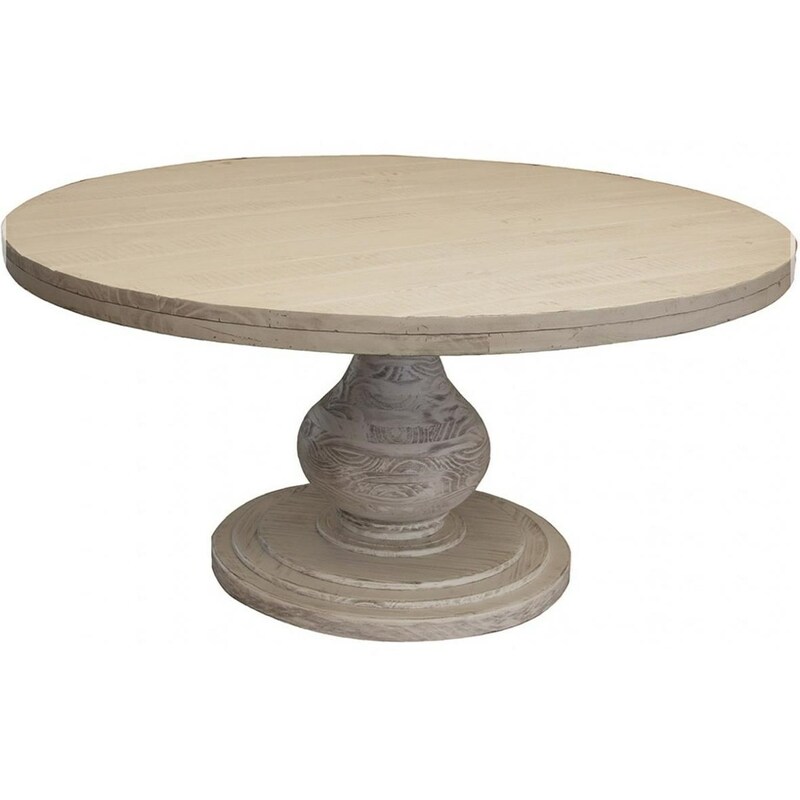 The Bonanza Ivory Round Dining Table with Turned Pedestal Base by International Furniture Direct at Miskelly Furniture in the Jackson, Pearl, Madison, Ridgeland, Flowood Mississippi area. Product availability may vary. Contact us for the most current availability on this product.